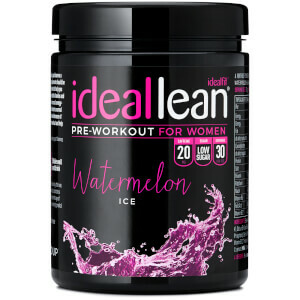 Enhance your workout experience with IdealFit Pre-Workout Drinks Powder. Take your workout to the next level with this female-first pre-workout formulation, featuring our unique blend of ingredients including chromium and green tea extract. Unlock your full potential with 30 servings per tub in a range of exotic and delicious flavours.